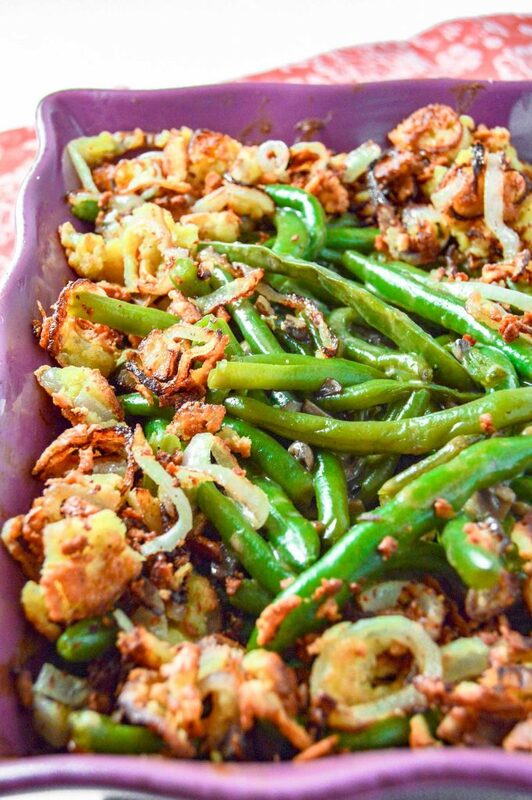 With Easter just around the corner I decided to try and create my own version of Green Bean Casserole that was not only Gluten Free but Dairy Free. Is it bad that I look forward to the holidays for the food? I doubt I am the only one… Easter is no exception! Ham, paleo mustard sauce, cheesy potatoes, green bean casserole, deviled eggs and the list goes on. I am slowly taking all the recipes that I love and giving them a healthier twist! I am not a big mushroom fan, but portable mushrooms are growing on me. So I decided to give them a try for this recipe. Another time consuming ingredient are the critical fried onion. I was in a hurry the first time I tried this recipe and just threw all the ingredients in the bowl, the fried it up. It was AMAZING. I have a feeling thesis will become a staple in my house! While you are making the sauce blanch your green beans. Don’t worry about your ice water bath. Mix the green beans with the mushroom sauce and put in the oven for 30 minutes. While the Casserole is cooking slice up you shallots. Mix together the Almond Flour and spices. Add an egg, shallots, and almond flour mixture together. Stir until everything is evenly coated Heat up coconut oil over medium heat. Once heated add the onions. Spread them out to allow them to cook evenly. You might have to do two batches. If you do you might need to add a little bit more coconut oil. Once the Casserole is done top with the crispy shallots and ENJOY!! 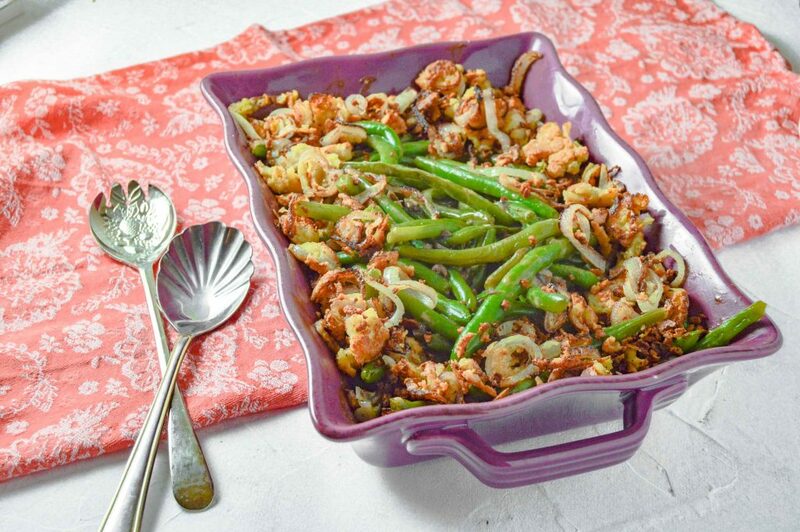 This dish is perfect for Easter Dinner or any dinner and is guaranteed to be a crowd pleaser! You guys have I got the most AMAZING sauce for you!! I mean this stuff will be a game changer!! 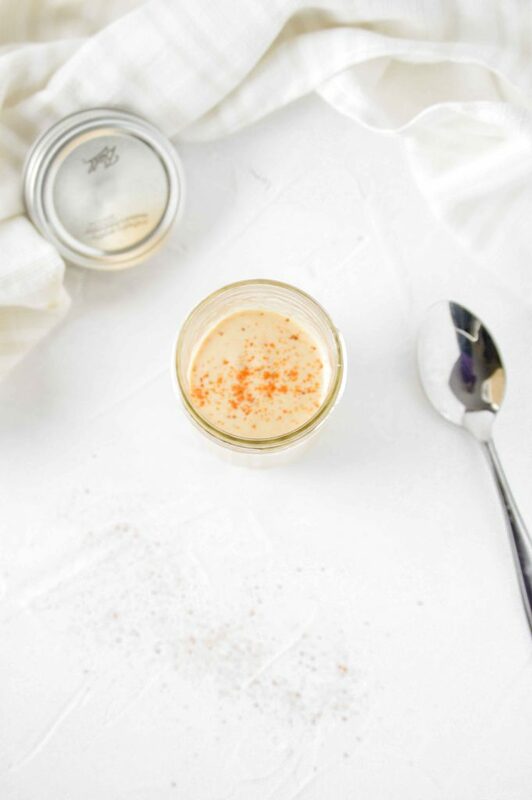 Old Bay Aioli is my new go to sauce for well…everything. I have stopped short of eating it by the spoonful…I kid…kinda. 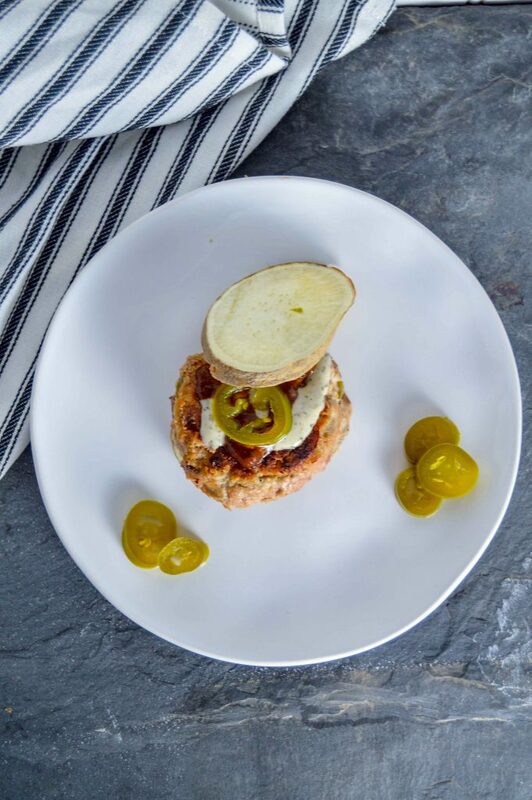 Its great on sandwiches, with potatoes and veggies, on burgers, with chicken or turkey roll ups, crab cakes, my Paleo Maryland Crab Balls and well basically everything. If you follow this site you will know a two things about me. I love oven roasted veggies and Old Bay. It is thee go to seasoning, if you haven’t tried it, what are you waiting for?? 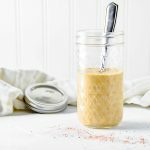 This sauce is super simple to make and can easily be made to be Paleo, Keto or Whole30 Compliant. Start with 1 cup of compliant mayonnaise. Personally I make my own but primal kitchen has a good avocado one. Then you add the Old Bay, Coconut Amino and Dijon Mustard. Thats its, less then 5 minutes to the perfect sauce! I love a good sauce! I don’t know what it is but I have to have sauce on my plate to dip my food in too. This sauce can truly go with most dinners. I would say all dinner but I am not sure about Old Bay Aioli and Lasagna…. but hey maybe thats for you! 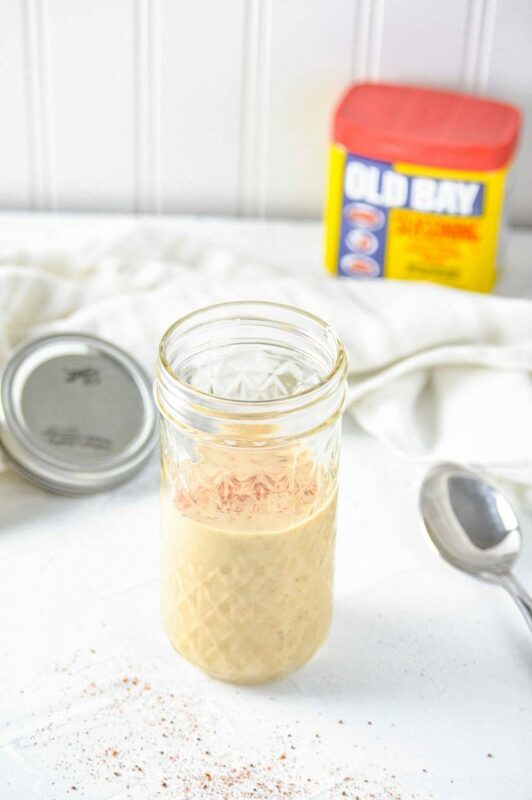 Old Bay Aioli is your new go to Sauce! 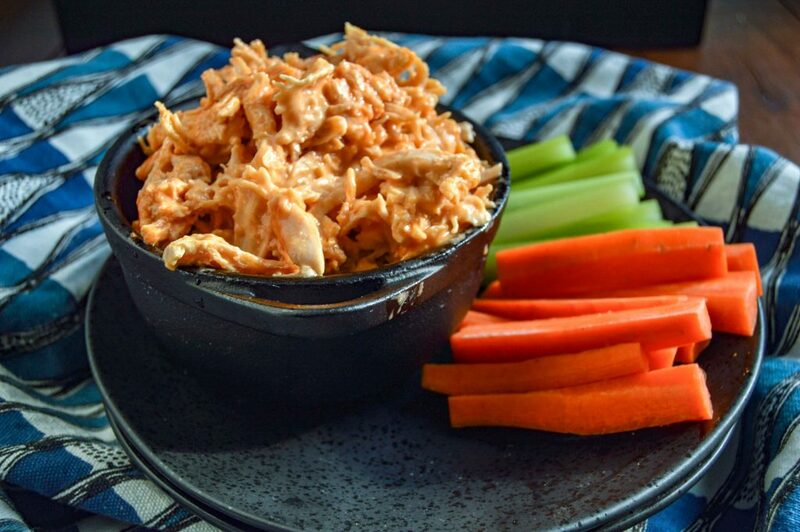 Buffalo Chicken is a favorite in my house and a must make for game day/race day Sunday. Simple easy and clean, not to mention Dairy Free!! 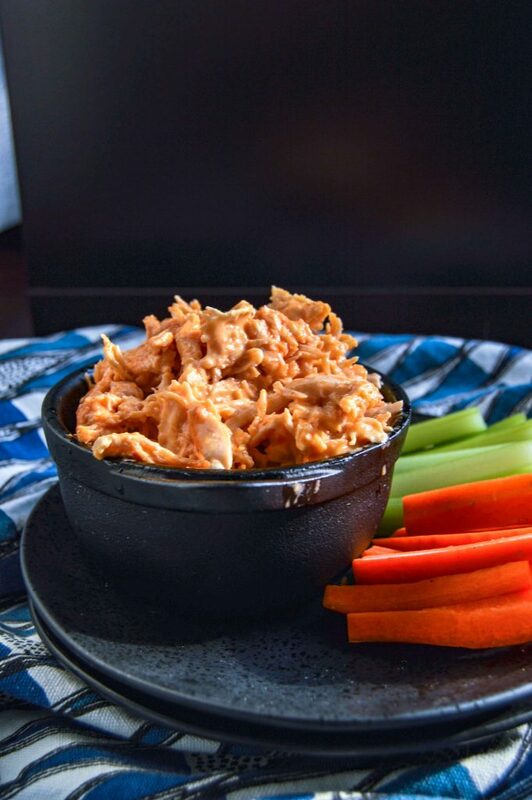 The sauce is made up of Buffalo Sauce, Mayonnaise, Chicken Broth, and seasonings. Mix it with shredded chicken and bake. It is that easy and so so so good! It goes great with veggies too. Obviously if you so choose, you can use chips or crackers with it as well. Serve with whatever “dipping utensil” you choose, this includes a spoon! Not only is this the PERFECT appetizer, but it is also a perfect meal. 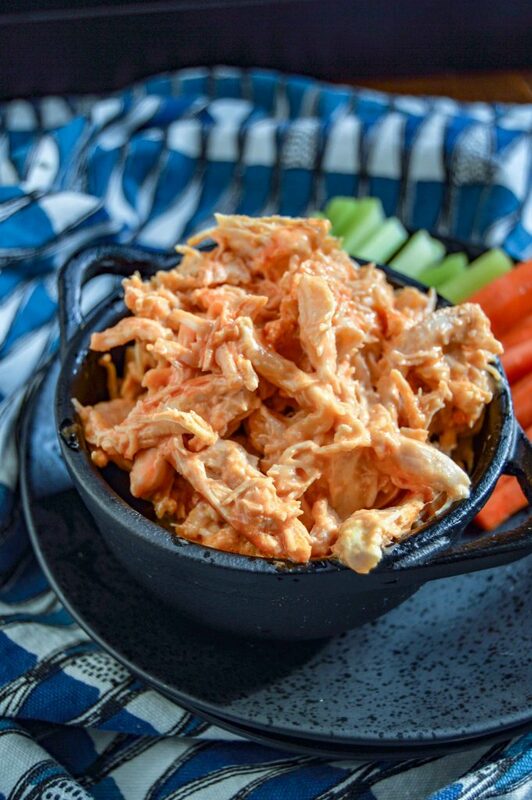 Much like my Buffalo Cauliflower Chicken it goes great on a salad, on a potato/sweet potato or all by itself. However you choose to enjoy it, I guarantee you will love it!! 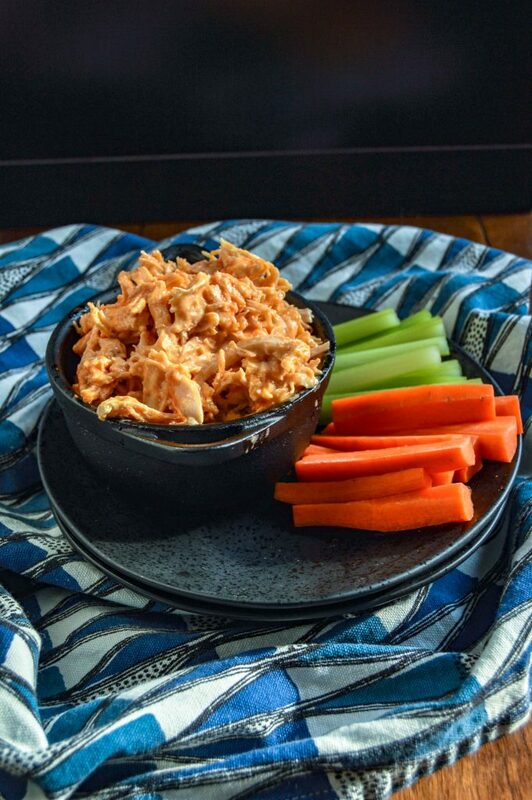 Buffalo Chicken Dip that is Dairy Free! 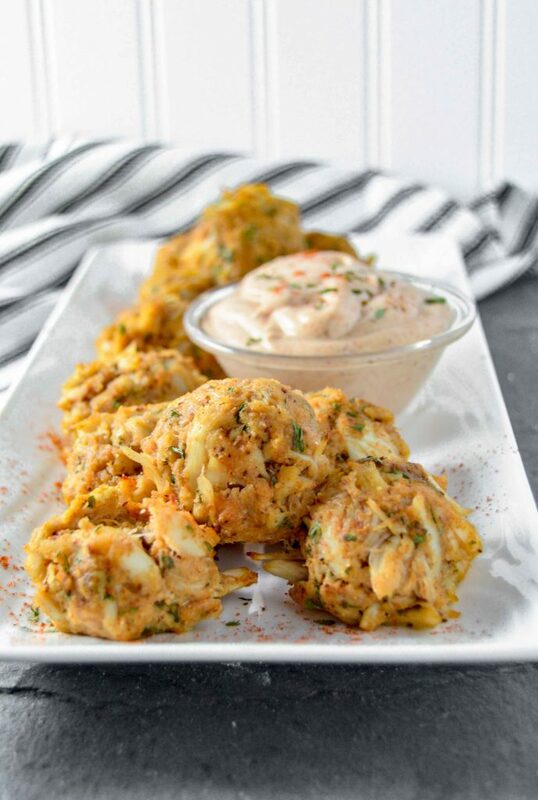 Paleo Maryland Crab Balls are the perfect appetizer or for dinner. Being a Maryland girl I grew up with a deep love of two things Crabs and Old Bay. One of my favorite summer past times is sitting with friends or family, enjoying steamed crabs. 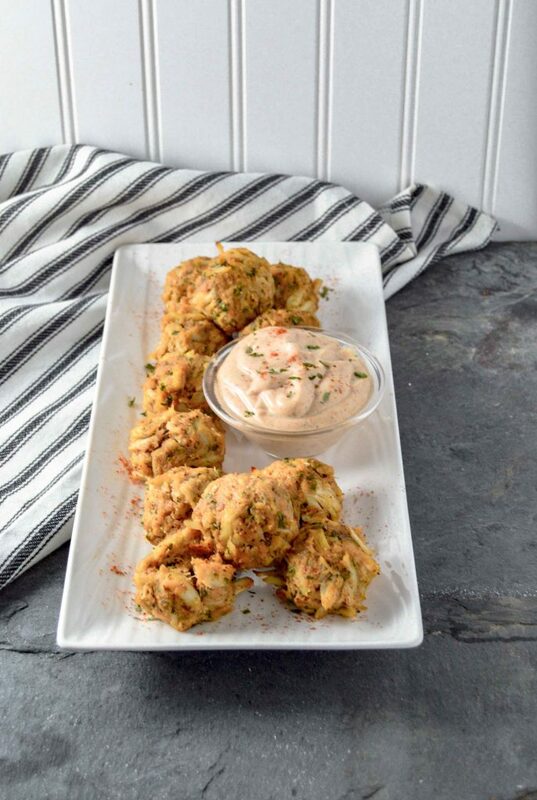 One of my favorite dishes are crab cakes and crab balls. You can find them on most menus in any Maryland Restaurant. The problem? The use bread crumbs when making them, aka not gluten free, therefore a no go for me because of Celiacs. Therefore, when I get the craving for one, which has been a lot lately, I have to make them myself. Bread isn’t a staple in our house, we sometimes have a some in the freezer, but most of the time we don’t. One thing I ALWAYS have is Almond Flour. It has become my go to substitute for Bread as a filling. It works perfectly and doesn’t affect the taste at all! These little balls of deliciousness are packed full of flavor and the perfect appetizer or for dinner. 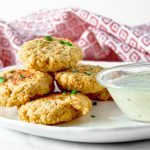 They work great for a quick dinner, taking less then 15 to make! Just throw all the ingredients into a mixing bowl, mix till combined. Make into one inch balls, place them on a sheet pan and cook for 7 minutes! 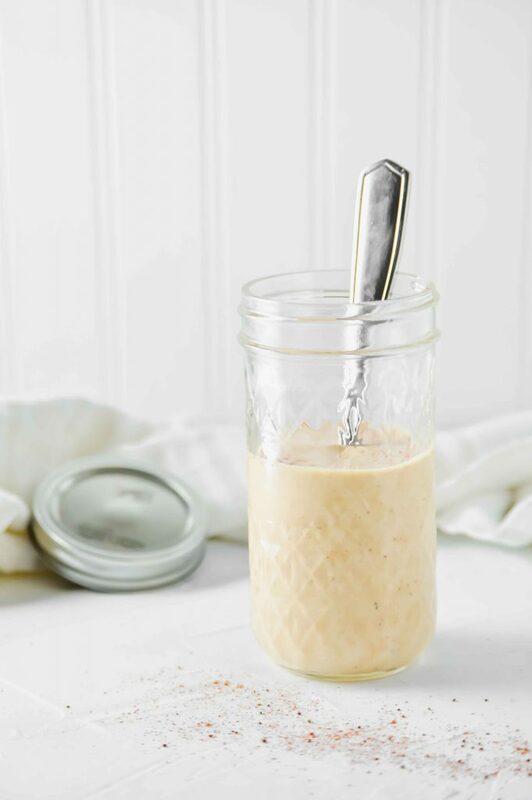 Looking for the perfect sauce to go with them, you should try my Old Bay Aioli. They also go great with Tarter Sauce! 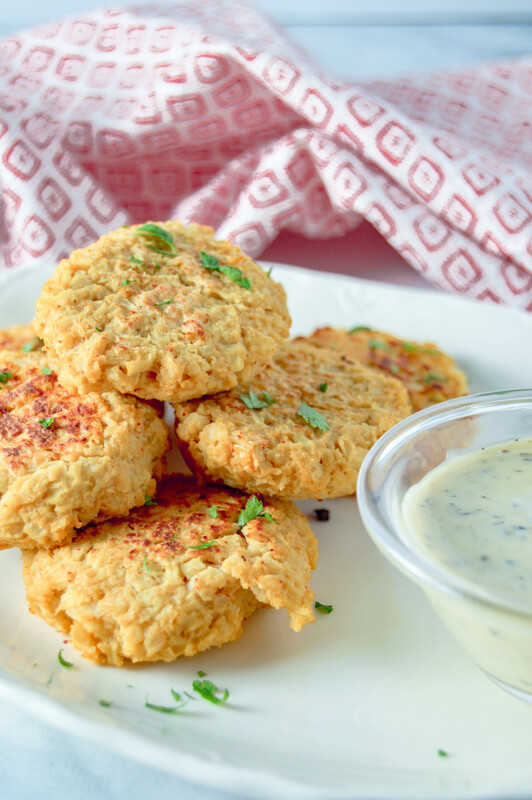 No matter what sauce you use, I can guarantee you will love these! 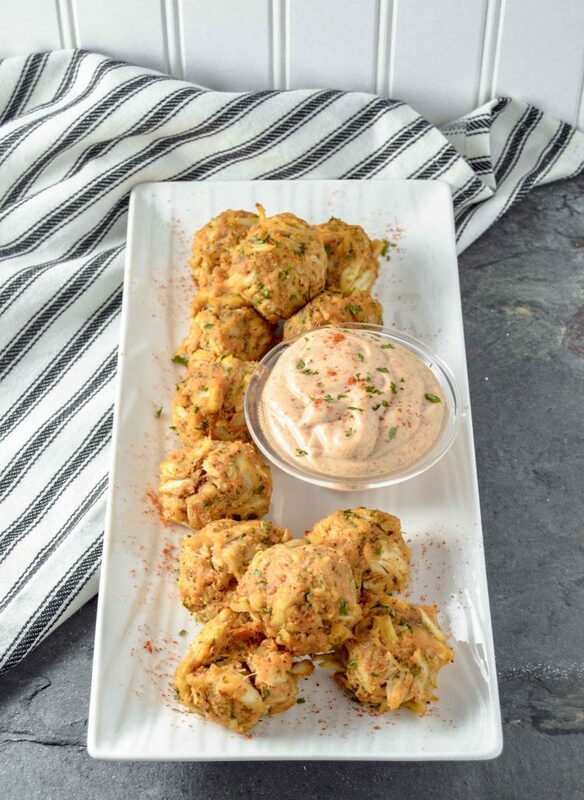 Maryland Crab Balls make the perfect appetizer but are also great for dinner!! Goes great with my Old Bay Aioli! Enjoy with Old Bay Aioli! 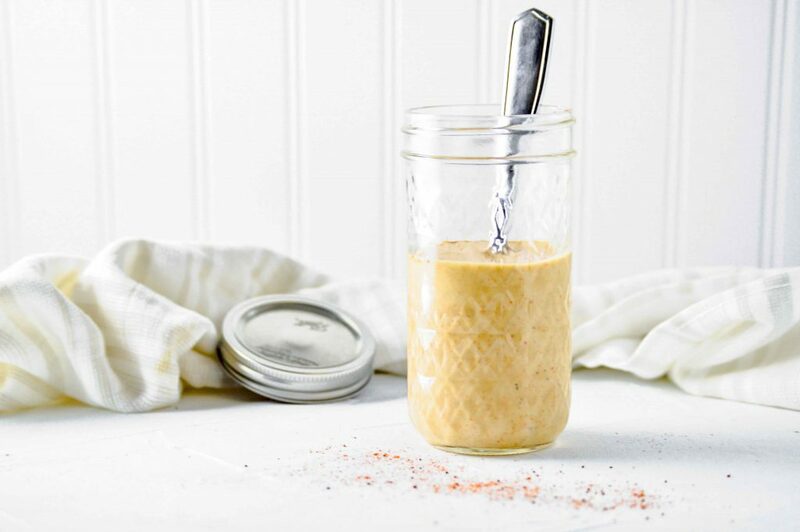 ***if following a specific diet, make sure your Mayonnaise is compliant or use homemade! 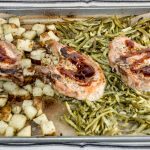 Sheet Pan Pork Chop Dinner is not only easy but delicious! 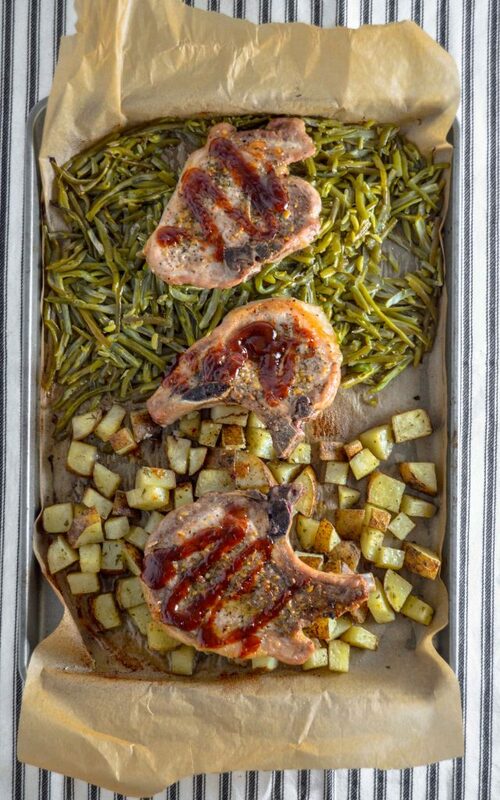 Pork Chop, Green Beans and Potatoes, perfectly seasoned and cooked together on one sheet pan. This makes for a quick and easy dinner. The juices from the pork chop season the green beans and potatoes as it cooks. 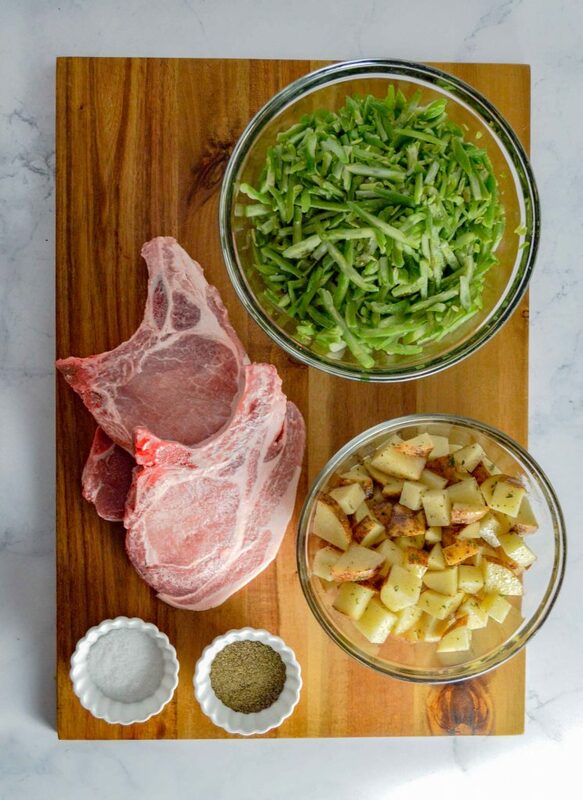 Pork Chops and Potatoes usually take about 40 minutes to cook while fresh green beans usually take about 20-25 minutes depending on the temperature. 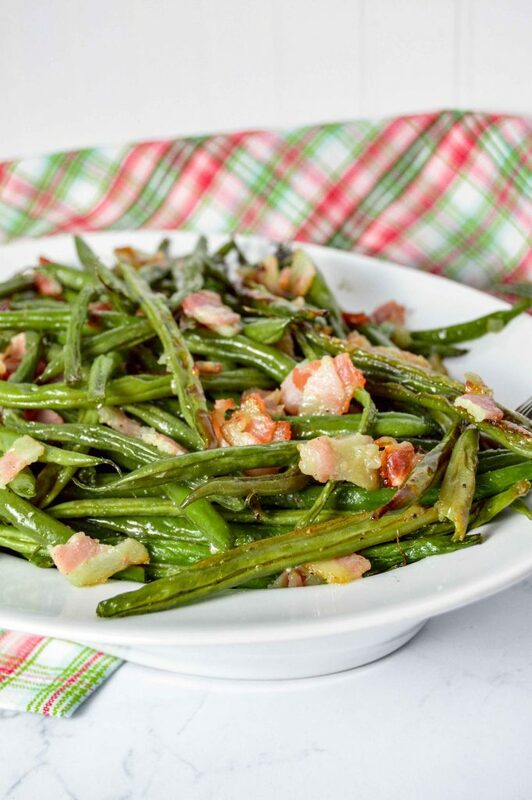 Therefore, I use frozen green beans when making this dish. This gives the green beans time to thaw as the potatoes and pork chops are cooking. When it is done, everything is perfectly cooked, nothing overcooked or undercooked. Start by getting out a sheet pan with parchment paper, cutting board and a mixing bowl. First, cut up the potatoes into bite sized pieces (about an inch) and add to a mixing bow. Add olive oil, salt pepper and spread out on one half of the sheet pan. Next, you want to add the frozen green beans to the mixing bowl. Add olive oil, salt pepper and spread out on the other half of the sheet pan. Next season your pork chop. I suggest a Tuscan seasoning (linked below) but you can use any seasoning. 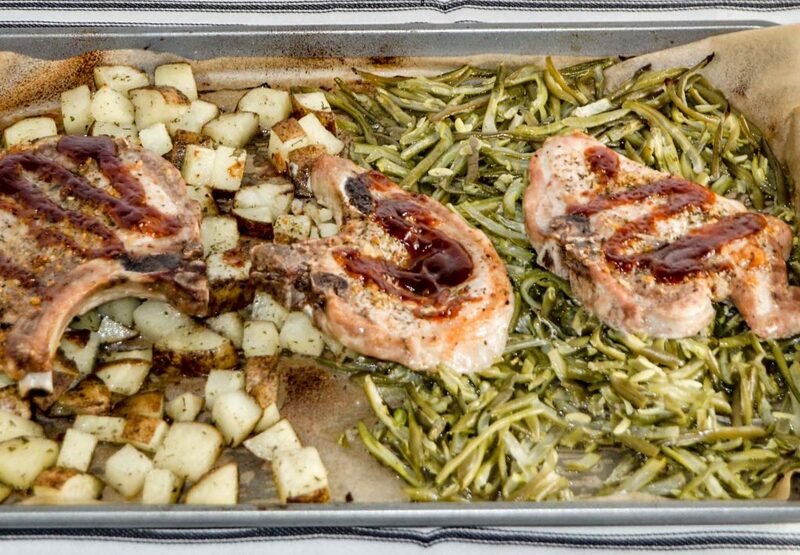 Place the pork chops on the potatoes and green beans. 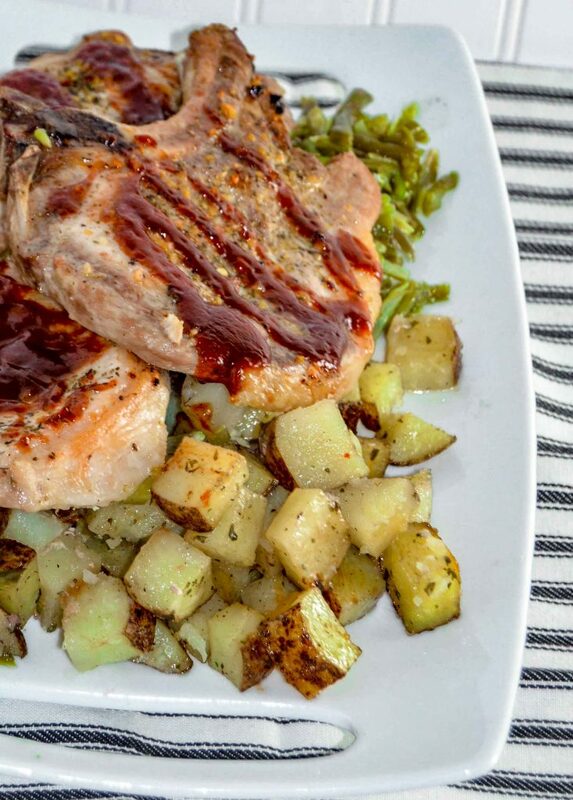 Cook for 40 minutes, until the pork chops are cooked and the potatoes are fork tender. This is a perfect week night dinner. It is easy to put together and just forget it…for the next 40 minutes or so! 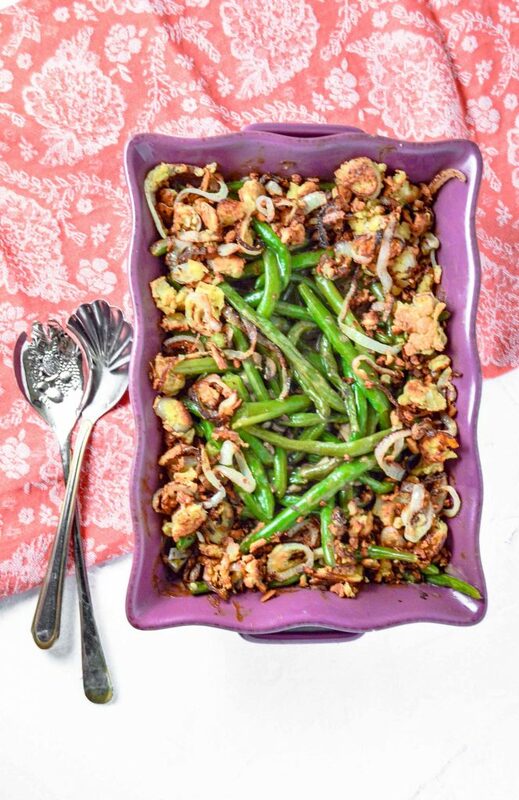 Easy on pan dinner with pork, potatoes and green beans! In a mixing bowl. Add the frozen green beans, olive oil, salt pepper to a mixing bowl and mix. 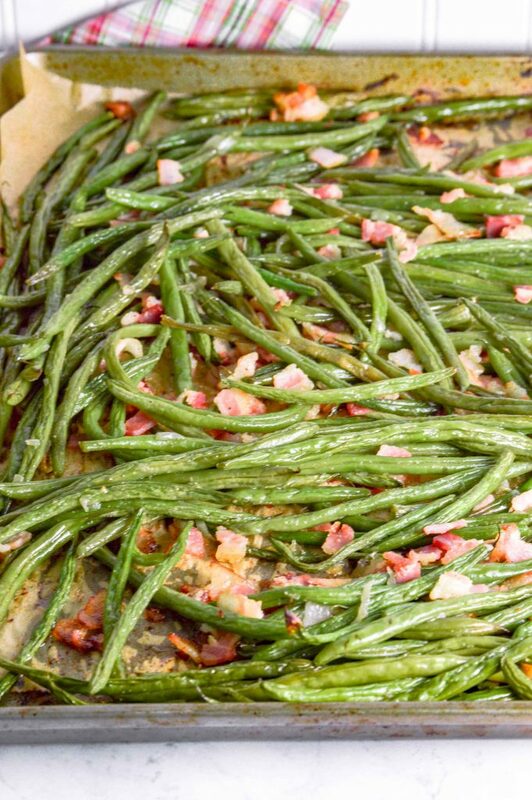 Spread the Green Beans out on tone half of the sheet pan. Cut up the potatoes into bite sized pieces (about an inch) and add to a mixing bow. Add olive oil, parsley, sea salt and pepper and mix. Spread out on the other half of the sheet pan. 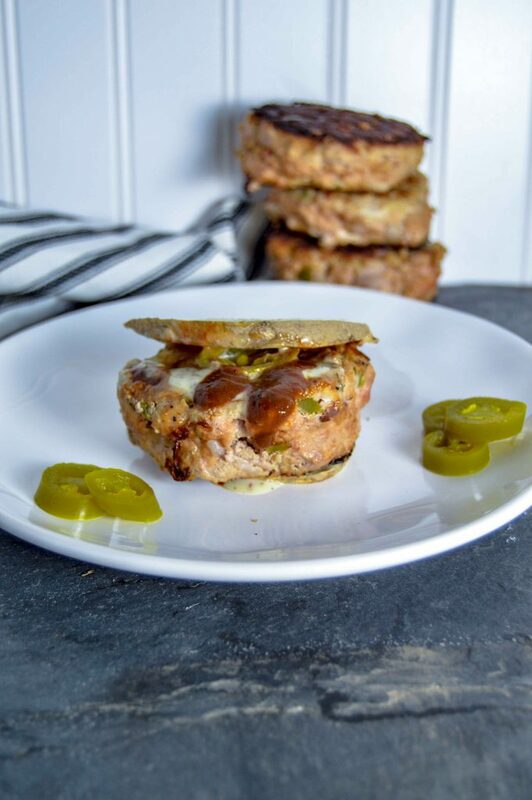 Jalapeño Bacon Turkey Burger, whats not to like? I find burgers the perfect go to dinner on a busy week night. There are so many different ways to switch them up. Not to mention they are easy to make and delicious! One of the things I love about Turkey is that it really soaks in the flavors of what you mix it with. The Jalapeño and Bacon are perfect compliments to each other. I have found that Coconut Amino is a great substitute for Worcestershire Sauce and have been using it as a substitute in a-lot of my dishes. 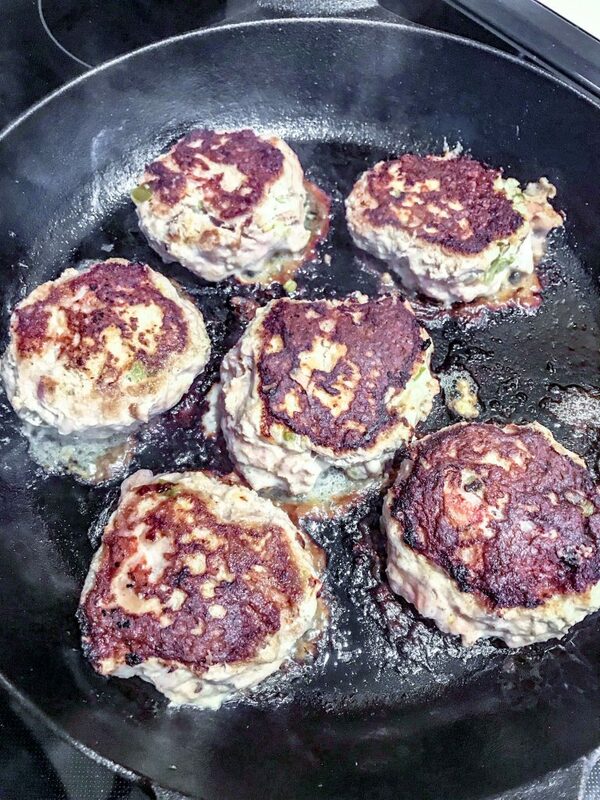 These burgers are extremely easy to make! Cut up the Bacon into 3/4 inch slices. Mix all the ingredients in a bowl, combine them. Make into small baseball size balls and slightly flatten. Put into cast iron skillet. Cook for 10 minutes, flip and cook another 10 minutes. Note: If you flip the burger before it is ready it will stick to the pan. Waiting 10 minutes allows it to get perfectly cooked on each side. Enjoy however you might like it!! Personally I love these with Sweet Potato toast, Tessemae’s Ranch and Tessemae’s BBQ sauce. How do you like your burger? 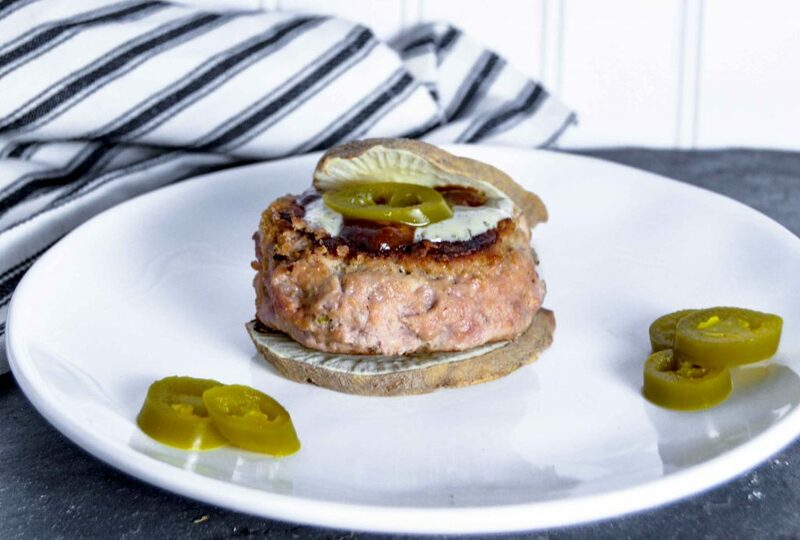 Turkey Burger with Jalapeño, Bacon and bursting with flavor. Remove from cast iron/skillet and ENJOY! Cajun Chicken, Sausage and Peppers is an easy weeknight dinner! It is a sweet and spicy dish that is delicious! 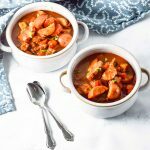 I love easy dishes that can be used for multiple meals. 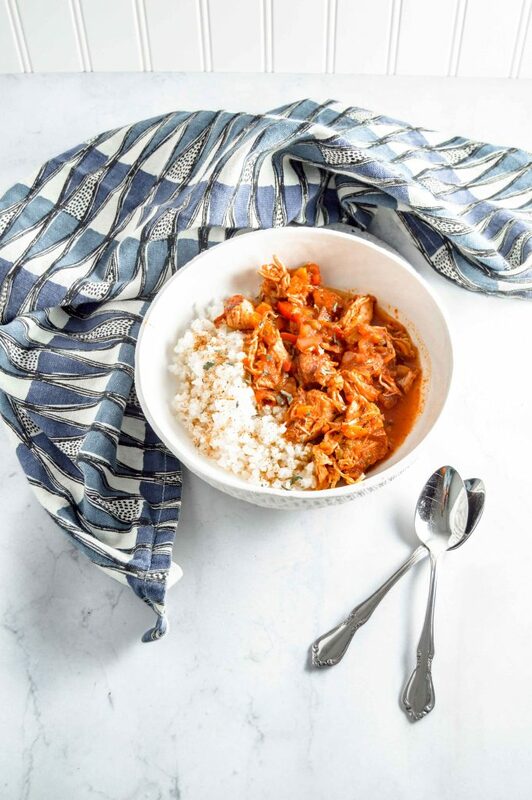 This dish is my twist to an easier, quick Jambalaya recipe. The peppers help to sweeten it up while the jalapeño and cajun seasoning give it a nice little kick! It goes great with cauliflower rice and quinoa. Both really soak up the flavor of the sauce nicely! Start with cooking your chicken, or used pre-shredded/already cooked chicken. Chop up all your ingredients. You can also buy them pre-chopped if you prefer. Heat a large skillet over medium-low with oil. Add the peppers and onion, sauté for about 7 minutes until soft and onions are translucent. 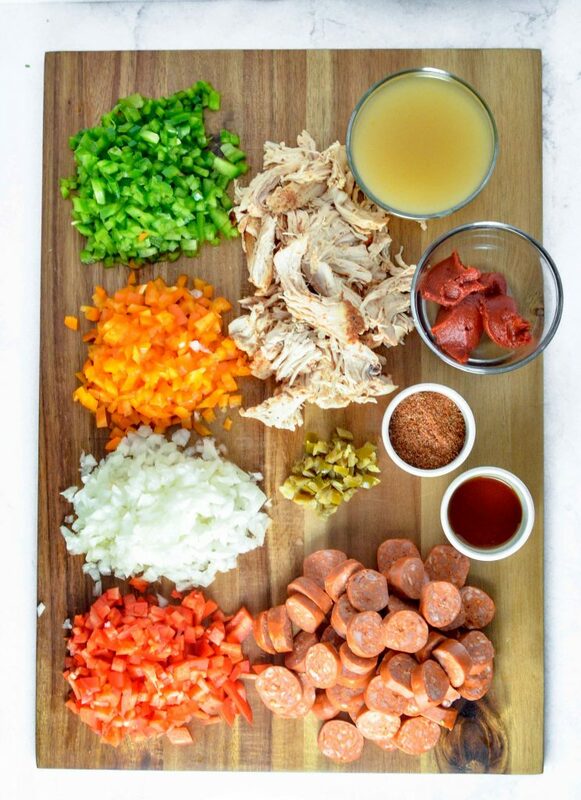 Chop up the sausage and shred your chicken while the pepper are cooking. Add the remaining ingredients minus chicken and sausage. Allow to simmer, stirring until the tomato paste is incorporated into the broth. Add the chicken and sausage, mixing together, covering and allowing to simmer on low. You can eat it right away or allow it to simmer for a while! Don’t like a lot of spice, don’t add or reduce the jalapeño or cayenne pepper in the cajun seasoning. If you like a lot of spice then kick it up a notch! Oh, one last thing, you can freeze it too. I have kept it in the freezer for up to 3 months! Cajun Chicken, Sausage & Peppers is the perfect weeknight dinner. Heat a large skillet over medium-low with oil. Add the peppers and onion, sauté for about 7 minutes until soft and onions are translucent. Chop up the sausage and shred your chicken while the pepper are cooking. Add the remaining ingredients minus chicken and sausage. Allow to simmer, stirring until the tomato paste is incorporated into the broth. Add the chicken and sausage, mixing together, covering and allowing to simmer on low. 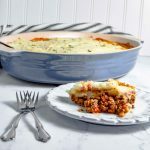 Not only is this dish delicious but it is supper easy to make. Wash and trim your green beans (if not already done). Add them to a mixing bowl. Chop up 7 pieces of bacon into about 3/4 inch strips. Add the bacon and the remaining ingredients. 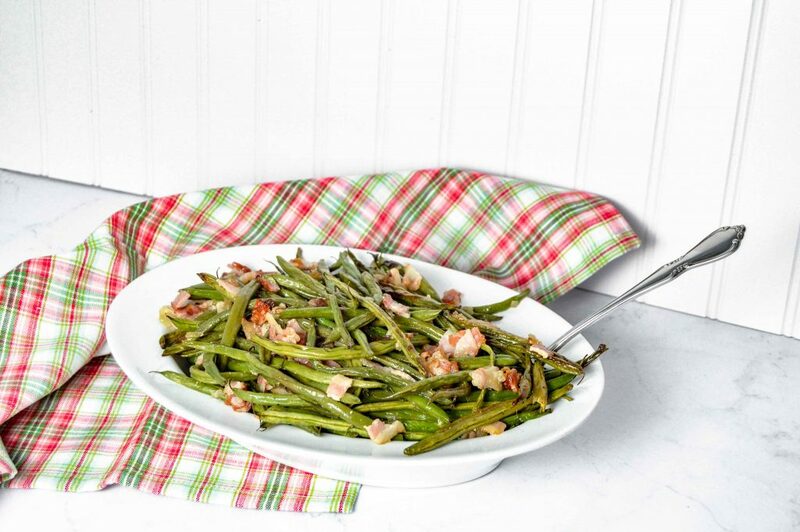 Toss until all the Green Beans are coated and the Bacon is mixed. 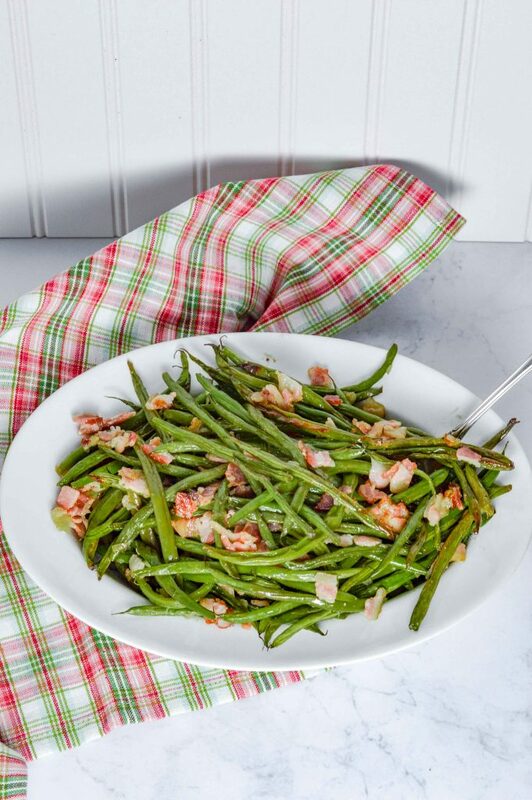 On a baking sheet place a sheet of parchment paper, and evenly spread the Green Beans on top. Cook for 20 minutes at 375°F, flipping after 10 minutes. Let cool and Enjoy! 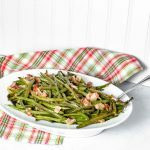 *You can use frozen Green Beans but you will have to adjust your cooking time. 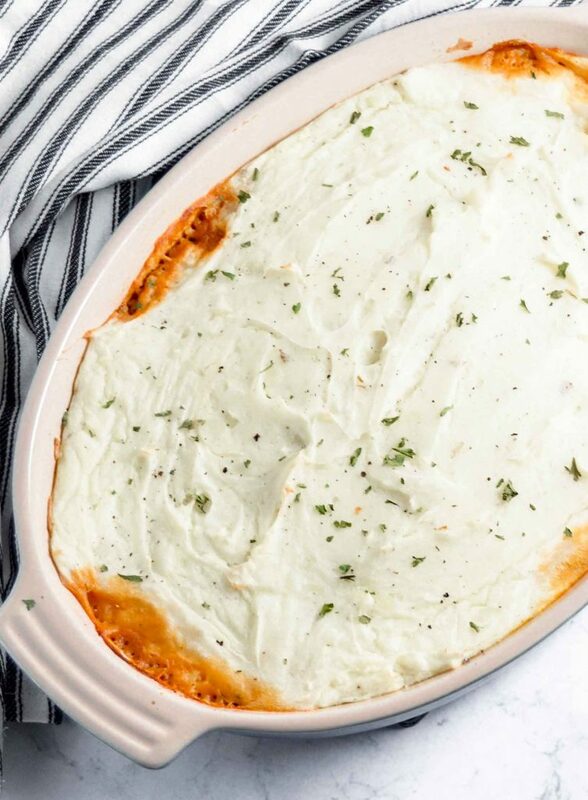 Shepherds Pie might be one of my new favorite dishes. I honestly never even had it until a few years ago. Since then it has become a favorite in my house! 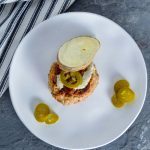 Not only is this dish ABSOLUTLY DELICIOUS, it is also Whole30 compliant. I am definitely a meat and potatoes girl and when they are combined it’s even better!! Plus, any chance I can have mashed potatoes, I do!! 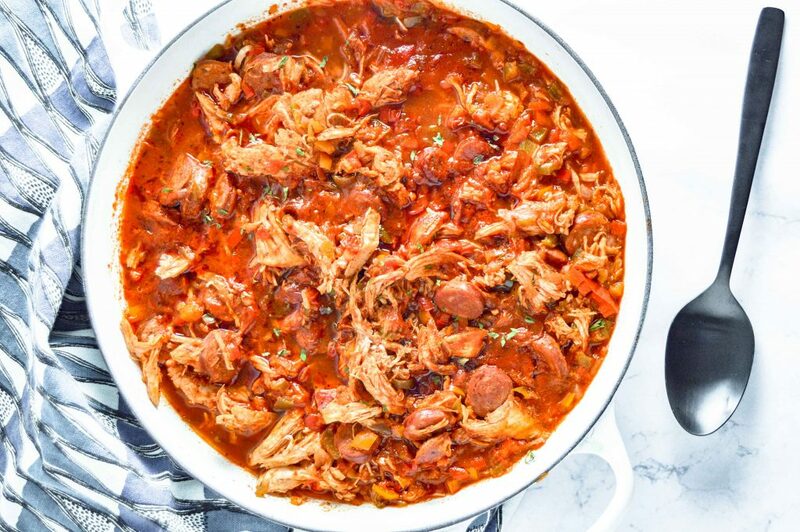 Another great thing about this dish … you can make it ahead of time and have it all week long. We do it a bit different as I am not a huge fan of peas! Besides Lima Beans it is the only other vegetable I just don’t like. To add a bit of flavor and to take the place of the peas I added celery. It was the perfect substitute. This dish does require a little prep work. If you get all your ingredients out prior to starting and follow the order it is a lot easier! Start with your carrots as they take a while to soften. Chop em’ up and throw them in a skillet over med-low heat for about 20 minutes. While they are cooking chop up your onion, potatoes, celery and prep your spices in a small bowl so you can just dump em’ in. Add your potatoes to a pot of water and bring to a boil. They should take about 20 minutes to soften. Follow my Dairy Free Mashed Potatoes or perfect Whole30 mashed potatoes. Once the carrots are softened add you onion and cook for about 2 minutes. Next add the celery and cook for about three minutes until the onions are translucent. Add your beef, ground it up and cook until no longer pink. Once done drain out the excess oil and dump into a mixing bowl. 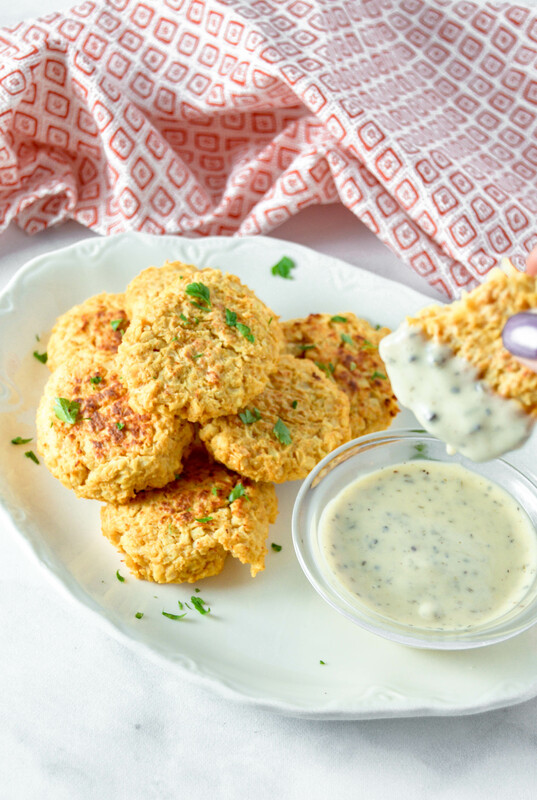 Add your arrowroot and give it a toss coating everything! In the pan add minced garlic, sautéing for a minute, then add the beef broth and tomato paste. Keep stirring until the paste and broth are all mixed together. Add back in the beef/veggie mixture and give it a good stir. Turn up the heat to medium till it starts to bubble then reduce to low. Cover and simmer for 15 minutes stirring occasionally. The sauce will thicken as it simmers. Turn you oven on 350°F. In a 13 x 9 casserole dish add the meat mixture to the bottom. Top with the mashed potatoes. I usually do strategically place a spoonful at a time, then use the back of the spoon to spread it out. Place in the oven and cook for 45 minutes. You know it’s ready when you see the sauce bubbling up on the sides! Allow to cool for a good 10 minutes. I usually dish it out into the bowls to cool faster! 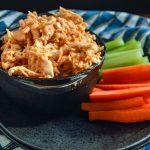 This is great to make on a Sunday and use for lunch or dinner all week long!! 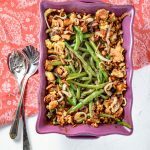 Delicious, Comforting and Whole30 Compliant! Heat oil over medium-low heat and chop your carrots into small pieces. Add your carrots to the skillet, cooking for 20 minutes, stirring occasionally. Chop up the onion and celery, keeping them separate. Add all of your spices into a small bowl so you can add them at once when ready. Add the celery to the carrots & onion cooking for 3 more minutes. Add your beef, ground it up and cook until no longer pink. 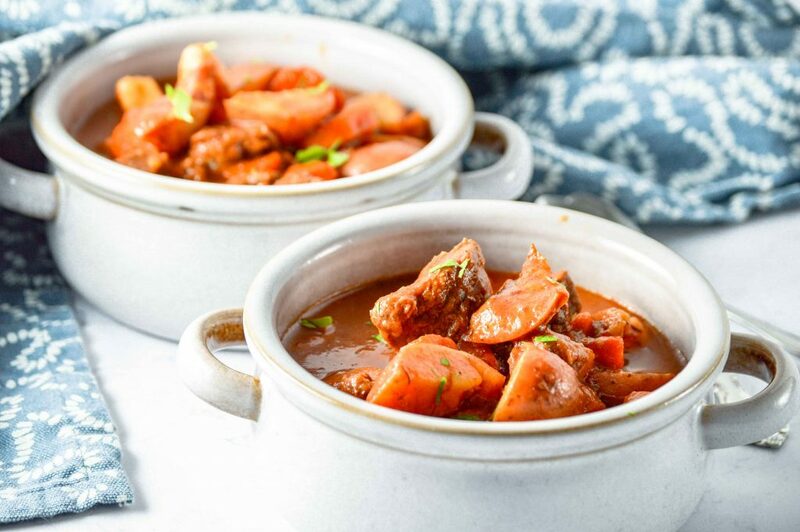 Drain your meat and vegetable mixture, add to a mixing bowl and toss with 2 tablespoons of Arrowroot. Over medium low heat add ½ tablespoon oil and the 2 teaspoons of minced garlic, cooking for one minutes, stirring occasionally. Add the beef broth and tomato base. Stir until the paste is mixed into the broth. Add the meat and vegetables to the broth and increase the heat to medium. – In a 13 x 9 casserole dish add the meat mixture to the bottom. – Place in the oven and cook for 45 minutes. 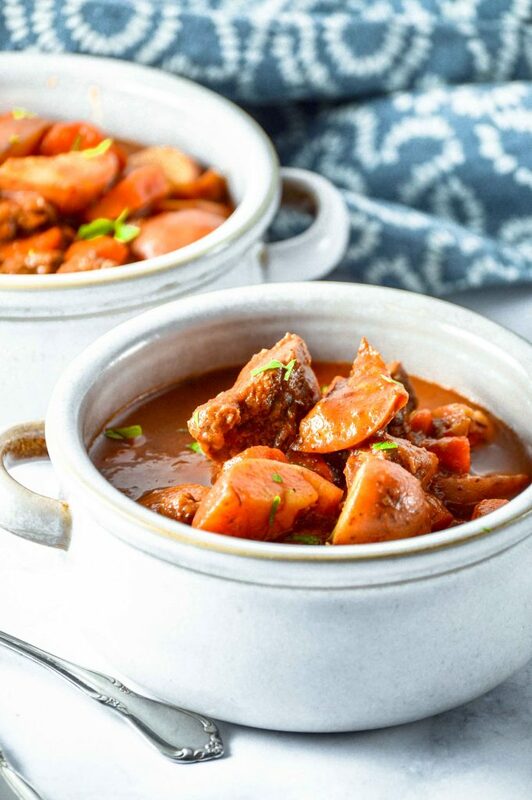 InstaPot Beef Stew… nothing is better than a hot bowl of beef stew on a cold winters day. It might just be my favorite winter meal. Usually I make a large batch to have throughout the week or freeze. Nothing is better then coming home from work and being able to heat it up in minutes. There is nothing worse then coming home and not having any in the freezer. Cooking it in the slow cooker takes to long and its just lacks flavor on the stove. That is why I set out to develop an InstaPot version. 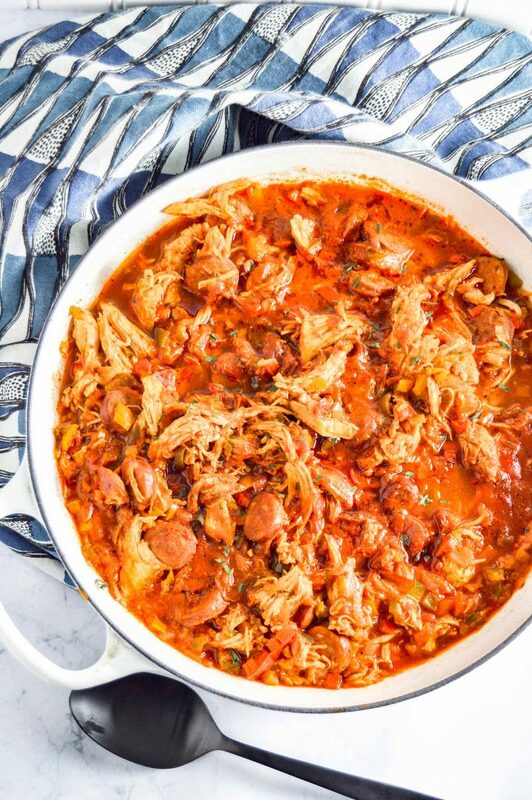 This dish definitely taste just as good in the InstaPot as it does in the Slow Cooker. 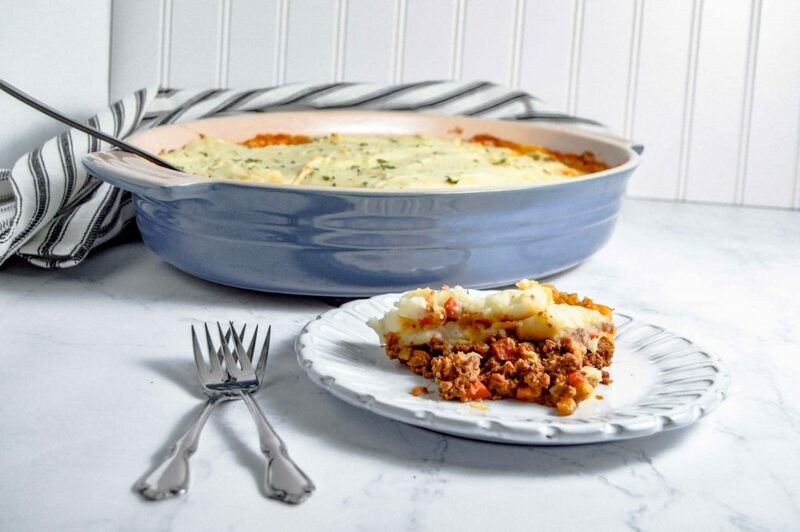 Not only that buy it takes less then hour to make… perfect for a weeknight dinner. This dish, with a little bit of properly timed prep work is super easy to make. I would recommend pulling out all your ingredients so you don’t waste time running back and forth. Start by turning your Instapot on to the sauté function. Next prep your beef by adding the arrowroot and seasoning. Once seasoned chop up onions. Add the oil and beef to your Instapot and allow to sauté about 2 minutes on each side. In-between flipping chop up your potatoes and carrots. After meat is browned (this could take two batches) and set aside add the onions and sauté another 3-4 minutes. Once complete add the broth and tomato paste, then scrape all that goodness off the bottom. Add the beef and remaining ingredients into the Instapot. Close the lid and allow the magic to happen. While it does take a little bit of prep work a majority of the time is letting it cook. If you know you want to make it the day before you can chop up all the vegetables and have them ready to go. 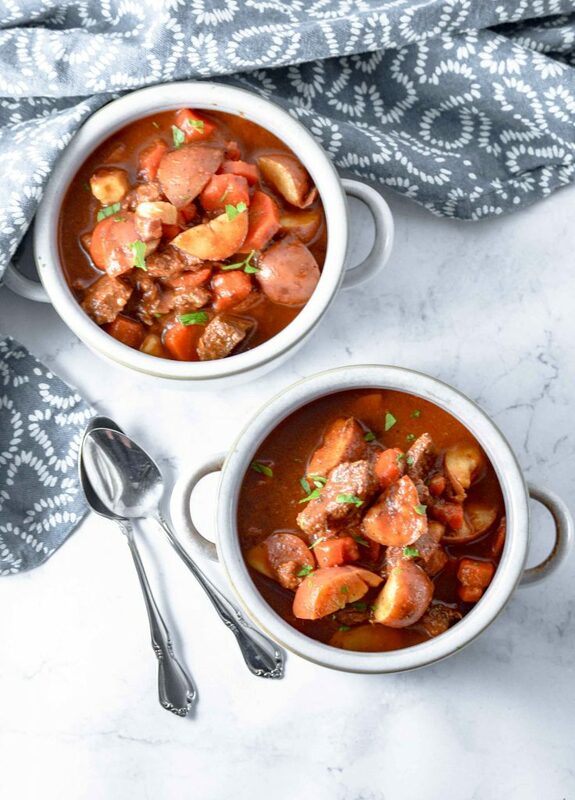 Either way this InstaPot Beef Stew is the perfect meal for any cold weather day! 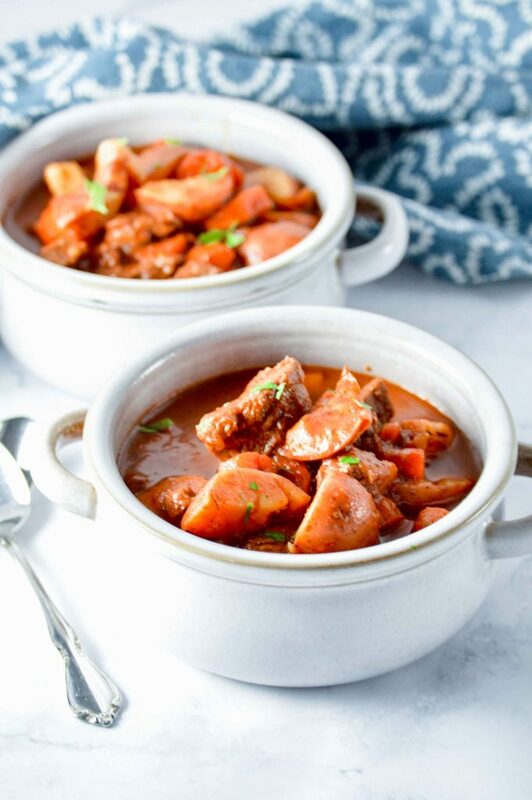 Amazing Beef Stew perfect for any cold winter night! Pull out all your ingredients, medium mixing bowl, measuring spoons, cutting board and knife. Turn the InstaPot sauté function and allow it to warm up, add the Avocado Oil. In-between turning the beef chop up the carrots and potatoes into 1 inch chunks. After the beef is browned remove from the Instapot and add another batch if needed. Tuscan Pumpkin and Chicken Marinara might just become your favorite fall dish. The pumpkin adds amazing flavor to the marinara without being overpowering. Coconut milk making this dish wonderfully creamy while keeping it dairy free. Fresh Sage just takes this dish to the next level. It is the perfect twist to the classic marinara and the perfect way to switch it up. Not only is it delicious but it is easy to make, great re-heated and freezes well. It goes amazingly well with Cauliflower Rice but works with any pasta or veggie noodles. Making Tuscan Pumpkin and Chicken Marinara is simpler then you may think. You start with taking the chicken and slicing it into strips (or chunks if you prefer) along the shore-side. Heat a sauté pan over medium low heat with oil, I used olive oil. Place the chicken in the heated pan, one at a time, ensuring that it is evenly on the heat and not touching. You might have to do more the one batch, just remove the cooked chicken and add more. Cook for 3 minutes and flip, cooking for another 3 minutes and remove. Add onions and sauté for 4 minutes. Add the remaining ingredients except the chicken to the sautéed onions. Allow to heat up, it will take a few minutes to warm the ingredients allowing them to mix together. Once everything is mixed together and creamy add the chicken in. Reduce the heat to low, cover and allow to simmer for 45 minutes. This dish is guaranteed to please and the perfect way to add pumpkin to your meal! Enjoy! 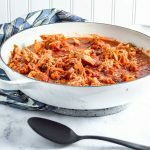 Tuscan Marinara with Pumpkin and Chicken using Coconut Milk making it Dairy Free, Paleo, Keto and Whole30. Place the chicken in the heated pan, one at a time, ensuring that it is evenly on the heat and not touching. You might have to do more the one batch, just remove the cooked chicken and add more. Cook for 3 minutes and flip, cooking for another 3 minutes and remove. In the empty sauté pan add the onion and sauce for 4 minutes, then add the remaining ingredients minus the chicken. Allow it to heat up, it will take a few minutes to warm the ingredients for them to mix together. Once everything is mixed together and creamy add the Chicken back in. Reduce the heat to low and allow to simmer for 45 minutes. There are no words to describe how amazing these little bites of deliciousness are! 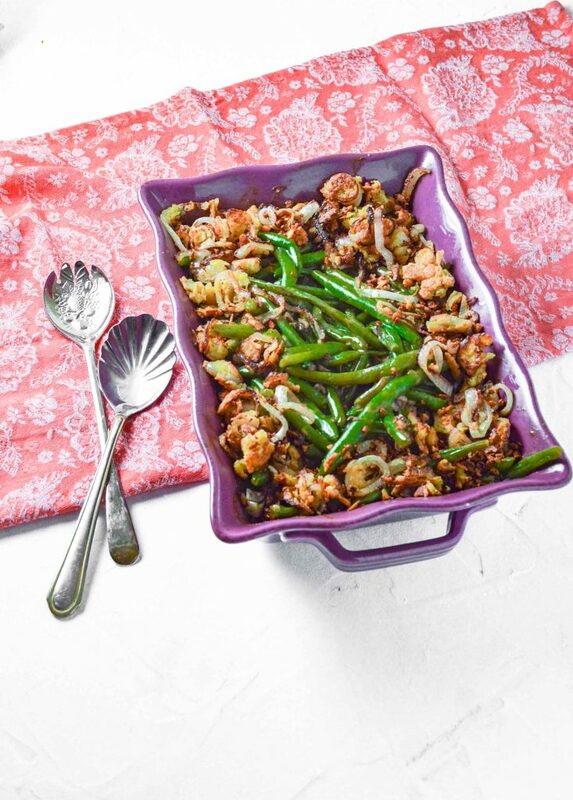 Cauliflower rice with a cheesy flavor minus the dairy for the win! 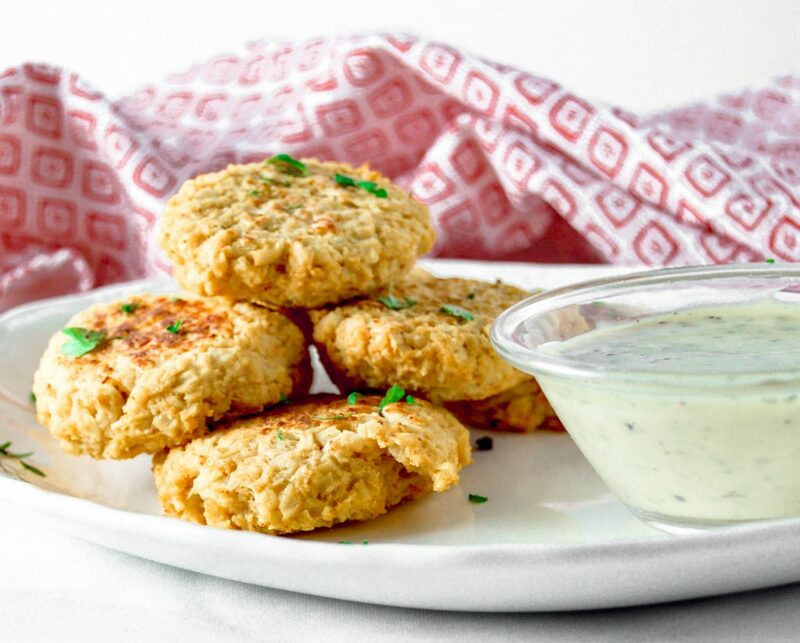 Not only are these little bites delicious but they are super easy to make. All you need is Cauliflower Rice, Nutritional Yeast, Almond Flour, Lemon Juice and Egg and seasonings. Once you get out the annoying excess water, put the Cauliflower Rice and remaining ingredients into a bowl. Now, you have two options. Option one, wash your hands and stick those hands in and mix everything together. Option two, get a fork and mix everything together. Make sure everything is evenly incorporated. Once mixed take a ¼ cup of the mixture, form it into a ball, and flatten slightly (to about ¾ inch thick). 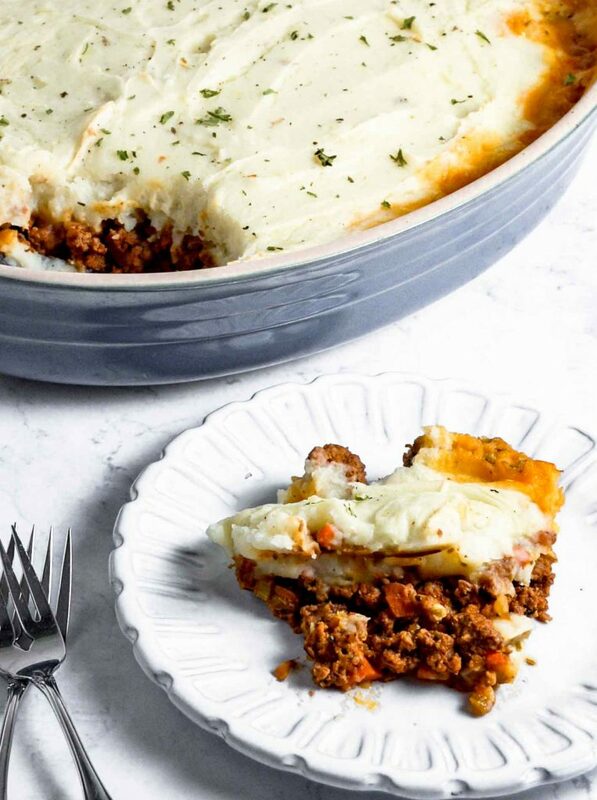 Place the bites onto a parchment lined sheet pan. Bake for 20 minutes at 350°F. You can easily make the bites smaller or bigger, but you will have to adjust the cooking time accordingly. If you want a slightly cheesy taste add a little bit extra nutritional yeast. Want to give these bites a little pop add some crushed red pepper or cayenne pepper. However you make them, they are guaranteed to please! Hope you ENJOY! 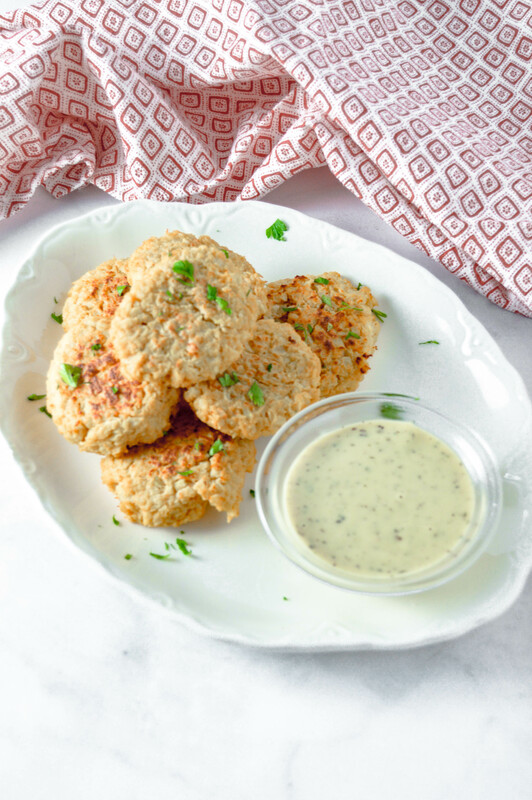 Cauliflower Bite seasoned with a vegan cheese making them Dairy Free, but still DELICIOUS!! Allow my Cauliflower rice to defrost on the counter in a strainer, in a bowl. Once defrosted drain out the excess water, there is a lot. You can use a nut bag, cheese cloths, sturdy paper towels or a dish towel. You want to get out as much water as possible, otherwise you bites might end up as crumbles.